The Ghost Hunt (Akuryou ga Ippai!?) manga series from Nakayosi and Amie magazines images and info. Part of a diverse shoujo anime, manga, video gaming, and live-action Japanese drama website. 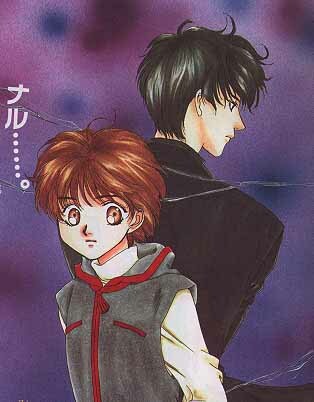 "The Ghost Hunt" is a suspense manga series by Inada Shiho and Ono Fuyumi which began its run in the manga magazine Amie under the name "Akuryou ga Ippai!?". 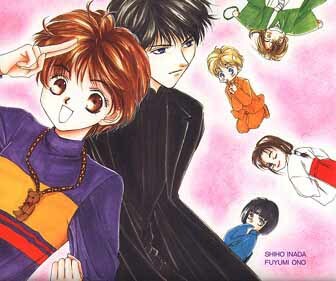 When Amie ended publication, the manga moved to Nakayosi and changed its title to "The Ghost Hunt". 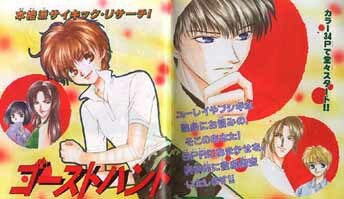 The story has been compiled into 4 manga books. Taniyama Mai is an ordinary teenager, but she's also a member of Shibuya Psychic Research. Her other team members are Naru, the very cool director; Ayako, a sophisticated miko (Shinto priestess); ponytailed Houshou, the Buddist priest; John, the cute exorcist; and Masako, spiritualistic medium extrordinaire. This unusual group investigates eerie happenings in an unpredictable ghost hunt. Mai, being the only one among them who is unaccostomed to and, not to mention, unskilled in such pursuits, often finds herself wondering why in the world she's involved.... but then she takes a look at Naru. Naru is dark and quiet and mysterious, but he's also really good-looking and his smile makes her melt. Mai is ready to face even the spookiest of apparitions as long as Naru is by her side. But how does he feel about her?